"If I cannot smoke cigars in heaven... I shall not go"
Dominique has been active in the “World of Habanos” since 2001 when she founded two “Plumes et Cigares” shops near Gent and in Knokke. In March 2009, Dominique obtained the title of Habanos Specialist in Cuba with distinction. In 2016 she recevied the prestigious title of ‘Hombre del Habano’ in the category ‘Business’ during the 18th Habanos festival in Cuba. 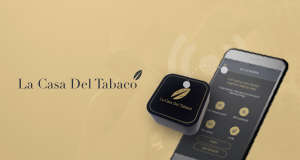 Because of her love for Habanos, new world cigars and related products she decided to take her ambition a couple of steps further and created the La Casa Del Tabaco franchise, became the Benelux importer for El Septimo and opened 8 shops year to date. 2017: Winner Davidoff Golden Band Award for Best Performance. In the beginning, La Casa Del Habano was a cuban cigar store especially dedicated to the selling of famous Cuban cigars, commercially recognized around the world. Today, this store not only sells tobaccos, but it also offers numerous other services. The store provides attention to experts in the art of smoking cigars as well as to beginners interested in learning about these products, its culture and its history. Want to become a franchisee ? Redirection to our brand new webshop ! 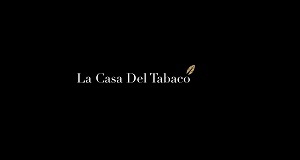 We gave a brand new look to our La Casa Del Habano webshop ! Don’t wait any longer and discover our new webshop.